Governor Hickenlooper, already famous in Colorado for his inability to take a strong position or make difficult decisions, had to decide which direction to take: clemency or execution. Incredibly, he found a way to do neither, instead pushing the decision onto the shoulders of his successor by using an executive order to issue a “temporary reprieve” blaming his decision on an “imperfect system.” The reprieve will likely stand for the remainder of Hickenlooper’s term and require a new governor to order its removal. “Obviously this has weighed heavily on me for over a year now and it was obvious that inaction wasn’t an option,” said at a press conference Wednesday. And yet, inaction is precisely what he’s done. It’s also worth noting that while he was “heavily weighing” the situation and families were waiting in the wings to find out whether justice would be served for their loved ones, Hickenlooper was partying with the Denver Broncos. To add insult to injustice, it appears there is a possibility that Hickenlooper made his fateful indecision at the behest of an overzealous staffer that was threatening to quit if he didn’t offer clemency. Keen eyed readers will note that Howe references two Peak scoops on the unsavory decision making process that the Guv used to temporarily save Dunlap’s life. 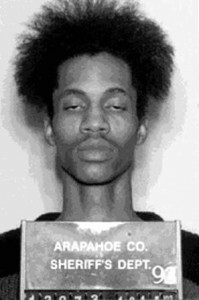 We’ve yet to hear Hickenlooper deny the heavy handed role that his Chief of Staff, Roxanne White, played in pushing for clemency. Then again, if our too-close-for-comfort top aide forced our hand on a serious issue like Dunlap’s death sentence we’d probably stay silent too. While Red State may be a conservative site, it’s worth noting that those other than Colorado residents picked up on Hickenlooper’s cowardice. The double downside to Hick’s hiding from the hard decision is he’s not receiving praise on liberal blogs for saving Dunlap’s life. Opponents of the death penalty are still smarting over Hick’s killing of the death penalty repeal bill by threatening to veto it. In many ways the issue of the death penalty is beginning to define a Hickenlooper narrative nationally of a politician afraid to make tough choices. 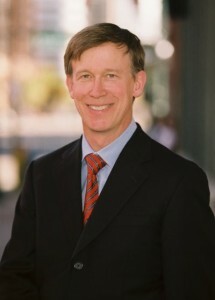 In trying to please all the people all the time, Hickenlooper has ended up pleasing no one. Hickenlooper doesn't want this on him if he runs for president someday. I really hope he never does. I knew, sadly Hickenlooper would do this!!!!! Damn him!!! He ought to be ashamed of himself, AND how can he live with thos decision???? He is the coward poster child! I am so sick of this guy. I thought Ritter and Lamb were terrible-this guy has no spine. HB/SB252-he signed into law and it is going to make rural electric rates got though the ceiling.-He needs to be removed from office. If the person killed was his son or daughter? He is an educated idiot! An eye for an eye and a tooth for a tooth, too bad he cant die several times. Hell has a special place for Nathan there , and his buddy stinkinlooper what a couple of spineless jelly fish. Justice was served with the verdict. Vengeance is served with the execution. I'm good with that. You're an idiot, douche bag. This guy is scum and deserves to die and yes it will be justice when he does and those families have every right to want him dead. His life become worthless the moment committed his cowardly crime and destroyed the lives of his victims and their families they are the only one who matter in this not him. So you defending him makes you fall to the same level as him. Puting anot her man to death does not satisfy justice it satisfies enraged family of the lost loved one. If the focus is so strongly on death, they have yet to see that justice is already served. By ranting about this idiot being alive still, you fall to the same level.